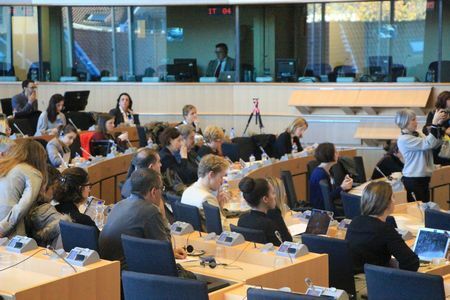 The CPMR played a leading role in a major workshop at the European Parliament on 08 November, looking at potential tools and policy changes to improve the sustainability performance of coastal and maritime destinations. The workshop ‘Towards Sustainable Coastal and Maritime Tourism Communities’ – developed through the Interreg Med MITOMED+ Project – was co-organised by the CPMR’s Intermediterranean Commission (IMC) and the Network of European Regions for Competitive and Sustainable Tourism (NECSTouR). It involved more than 150 Destination Managers, professionals and regional policy makers and representatives from the academic and private sector, along with MEPs, representatives from the European Institutions and the World Tourism Organisation. 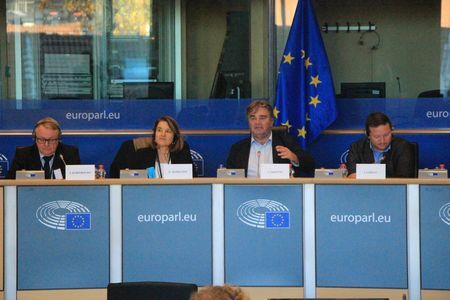 The morning session was hosted by MEP Ivan JAKOVČIĆ. It presented the main outcomes of the project up to this point: the set of indicators to measure and the benchmarking platform to develop evidence based tourism policies. 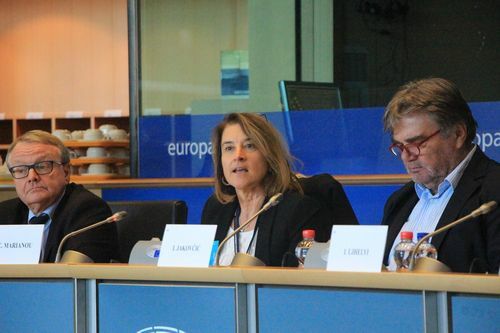 Speaking during this session, CPMR Secretary General, Eleni Marianou, explained that tourism is a key sector for economic growth for many of its regions, but the correct tools and practices must be used to ensure it is sustainable and respects local environments and communities. She said: “We strongly support MITOMED+, which capitalises on regional expertise and develops tools and policy recommendations in order to achieve sustainable tourism in the Mediterranean and beyond”. The afternoon session, organised through the European Parliament’s Intergroup on Seas, Rivers, Islands and Coastal Areas (SEARICA), provided the opportunity for MEPs, European Commission officials, Destination managers and policy makers to discuss existing good practices that can be used to help establish cooperation on sustainable coastal and maritime tourism communities. On this occasion, Davide Strangis, Executive Secretary of the CPMR IMC, presented MITOMED+’s Tourism Management Model draft structure, which final version is to be produced in the frame of the project’s capitalising phase and released in autumn 2019. The CPMR IMC is encouraging coastal and maritime destinations from across the Mediterranean and beyond to join forces. Its members adopted a Poltical Agenda on Sustainable Tourism in February 2018. If you are interested in improving the sustainability performance of your Destination, MITOMED+ offers you the opportunity to use the tools mentioned above and contribute to the MED Coastal and Maritime tourism management model. For more information about the MITOMED+ project, click here and contact us.